Nathalie de Parseval born in 1966 in France, is a former researcher in retrovirology and oncology. She has a ten-year experience in research administration and is Research Director at INSERM. She studied at the University Paris Diderot in Paris where she earned her Doctorate es Sciences in hematology in 1995. Nathalie de Parseval worked 8 years as a research fellow in the laboratory of Thierry Heidmann, where she studied the implication of endogenous retroviruses in oncogenic processes. In 2004 she joined the Inserm headquarters to organise ANR call for projects. Institutions, Health Agencies and Social Protection Organisations). 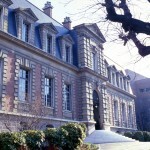 It aims to develop and promote research in Public Health in France, through the funding of research projects, the organisation of working groups, the sharing of resources and tools, the support of events promoting public health research and the creation of an information letter and of a review popularising the research results. She has been General Secretary of IReSP from 2007 to date. 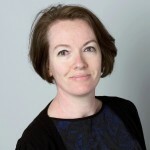 Since 2011, she has also been responsible for the Public Health division of the Public Health Multi-Organisation Thematic Institutes (ITMO) of the French National Alliance for Life Sciences and Health (Aviesan), which groups together the main stakeholders of life and health sciences in France.